By that time, Ulrich was already a prolific musician in such genres as ambient and drum and bass, with a variety of pseudonyms (most notably View to the Future and Ethereal 77). These earlier works soon caught the eye of Berlin electronica label CCO (City Centre Offices), who took him up. Soon his submissions to CCO developed into Ulrich's first album under his own name, entitled Far Away Trains Passing By. It became an electronic classic; listeners were smitten with the lush instrumentation and the emotional impact of his elegant music. Yet nothing could prepare his growing army of supporters for the next record, A Strangely Isolated Place, which slowly came together in 2001. 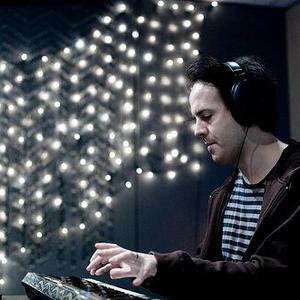 The album truly displayed Ulrich's youthful indie influences and established his pedigree as an outstanding electronic composer. A Strangely Isolated Place has become one of those extraordinary and rare occurrences: a record that slowly grows in stature by virtue of its overriding ability to deliver more than the usual arid and academic treatises on the state of the synthesizer. "When you've worked with computers and keyboards for a number of years, they become not so fascinating of themselves anymore," he said. "I gained in confidence after people began to discover Faraway Trains, and it hasn't really stopped since then. This time I decided not to compromise on what I wanted to do, with what I thought people might want me to do." The result is an oddly retro-futurist record, which owes more to MBV's Loveless or Vangelis' Blade Runner soundtrack than Ulrich's computer-centric peers. Since the release of both albums, Ulrich has been asked to work with and remix a host of artists including Mojave 3, Longview, Johannes Schmoelling, The Zephyrs, Robin Guthrie, A Shoreline Dream, Engineers and Lunz (Rodelius). Goodbye, Ulrich Schnauss's third album, was released in 2007.